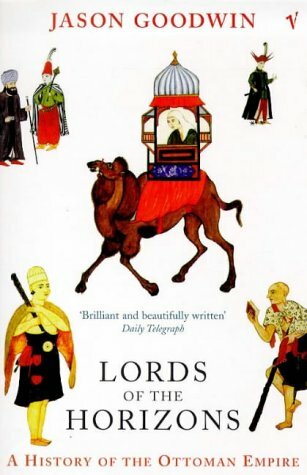 Lords of the Horizons by Jason Goodwin is a whirlwind history of the Ottoman Empire. Goodwin bravely attempts to dispense with a strictly chronological telling of the major events of the empire, choosing instead to structure the book thematically, but it doesn't always work, especially since, like most royal families, the Ottoman sultans had a tendency to all have the same name, so unless you have a fantastic ability to grasp the timeline immediately, you'll find yourself diving for the chronology at the back of the book fairly often. That said, the stories he chooses to tell are great, and they do cast some light on an empire that is essentially - for most people in Ireland anyway - nothing but a funny name for Turkey at the start of the First World War. He goes into great detail about the financial affairs of the empire, about the succession rites of the Sultans (initially, when a new Sultan was appointed, he killed every one of his male relatives. Later, they just kept them locked up in the harem surrounded by barren women and eunuchs. And they all went mad, unsursprisingly enough), the fact that they didn't have clocks, that the armies had marching bands but didn't march in step because the roads were too bad. These are the kinds of details I like to have in my mind about an empire.